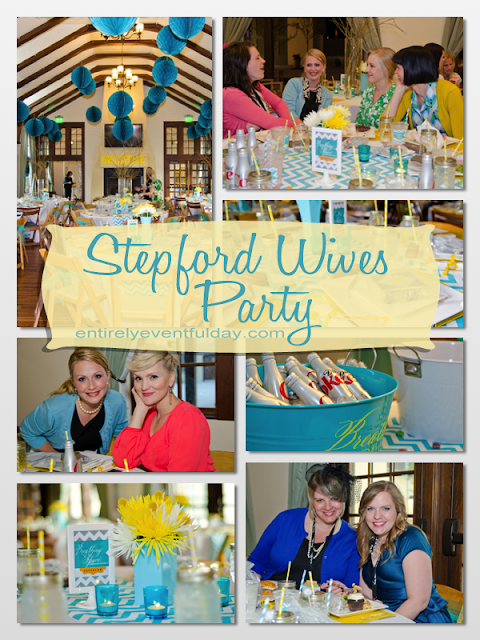 Stepford Wives = a kinda creepy movie and an awesome party theme! 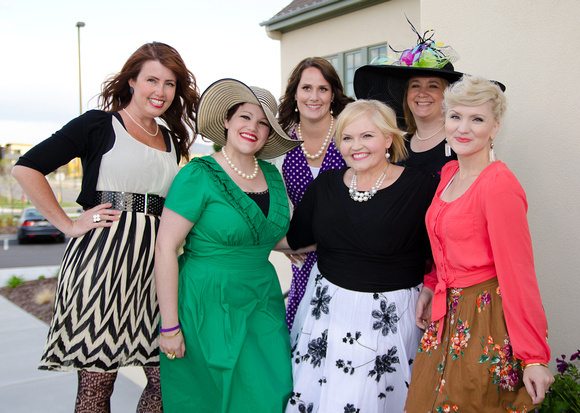 Are your friends "just a little too perfect?" Perfect! 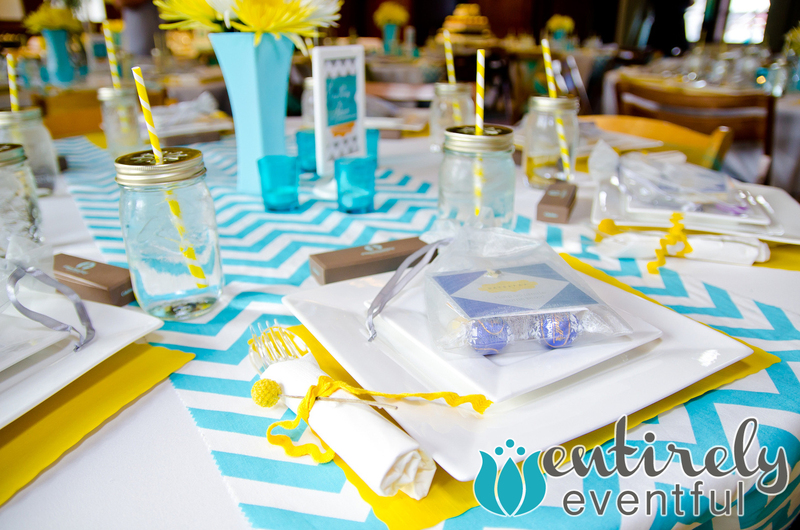 Are you in love with these amazing place settings. 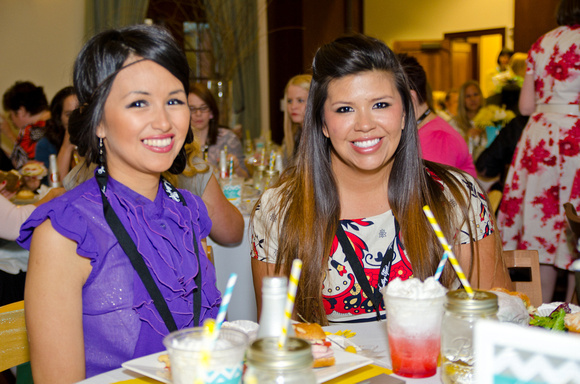 We just cut aqua chevron fabric with pinking sheers to make these colorful table runners. We also added pops of our color scheme in simple ways like, spray painted vases, paper place mats, paper straws, inexpensive votives, and rick-rack. The magic is in the details. 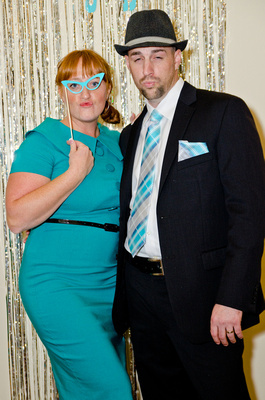 Invite your guests to dress the part and have some fun! 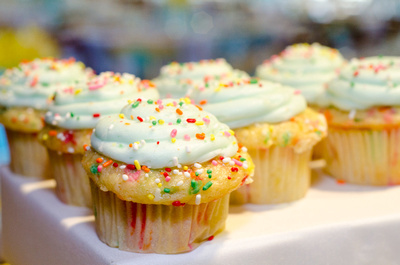 Cupcakes are a simple way to add cuteness and color! Attention to detail! 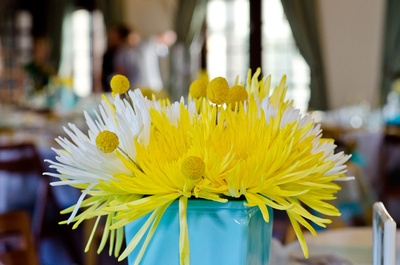 We used Spider Daisies in spray painted vases to add to our aqua and yellow party color scheme. I am in love!!! 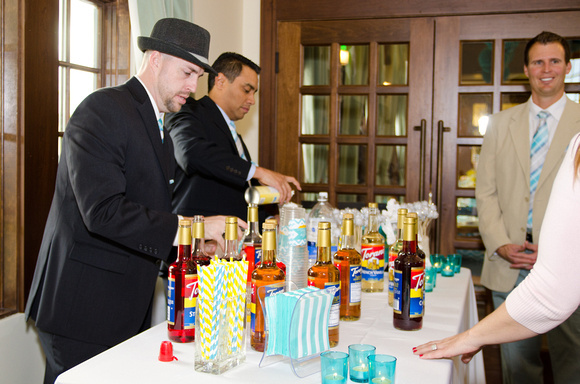 with our "Perfectini Bar." 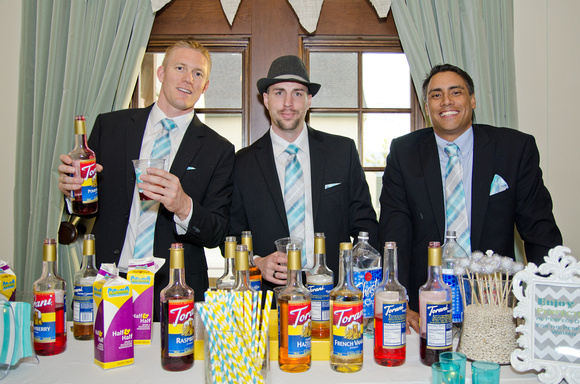 Recruit some handsome guys to mix Italian Sodas... the eye candy is just a bonus. 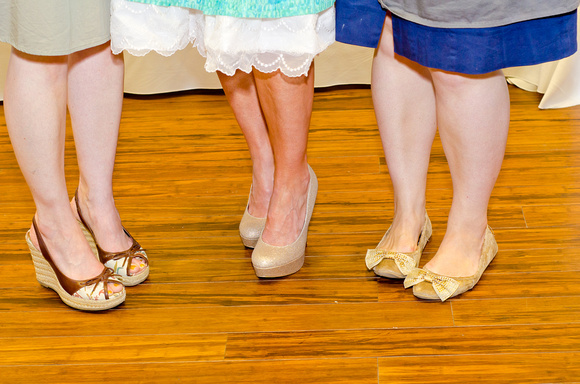 I hope you enjoy our Stepford Wives Party Theme! I hope you try it yourself!